What I know about Labyrinthique is they are from Canada and they have a Facebook and a WordPress website that is all in French. That is about it. For whatever lack of information is revolving around this Quebec based black metal band is made up for in a demo of unequaled frenzy. I love heavy metal and I love finding new music that seems to be new to everyone. Demo MMXVI is slow and even meticulous when it comes to its sound. Even and measured, Labyrinthique has a sound reminiscent of things like Misþyrming or Mgla just with the possible addition of a drum machine. 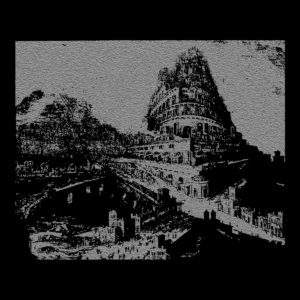 Add to the the calculating approach of slow builds in songs like “Iconoclastes et misothéistes” and the distant yet glaring vocals of “Val d’ombre” and one has a demo that far surprises more than most full lengths of the year. I am beginning to appreciate demos more each year. The qualitiy and endless possibilities which is contained on short presentations can fill a cold heart. Demo MMXVI steps in line with some of the great demos of 2016 and promises to be a band that has the potential to eviscerate the future with horrid sounding black metal.